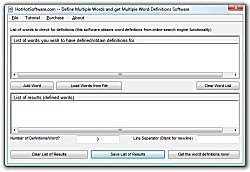 Define Multiple Words and get Multiple Word Definitions Software! Get it now! Only $29.95 U.S. (Regular $49.95 US!) for a limited time! 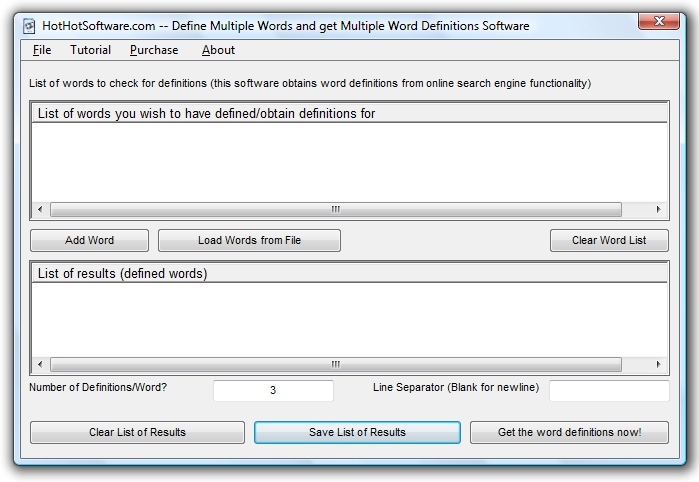 If you are looking for an easy way to get multiple word definitions, then this software is for you! You can easily use it as a resource for looking up words, getting multiple word definitions, and more! This software facilates functionality offered by various search engines, and allows you to select multiple/different words that you want to automatically define at the same time! This software is great for creating content for your website, and/or for use with search engine optimization for your webpages! Plus, it is exceptionally fast! Start using this software now and save yourself a lot of time, and get multiple word definitions to help you in your web design now!